How many U.S. military service members die? 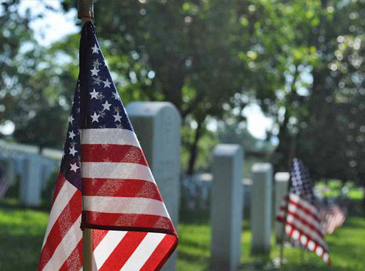 How many families are impacted by military loss? How many lives does TAPS touch each year? How is TAPS funded and supported? TAPS was founded in the wake of a military tragedy, after eight soldiers were killed in a C-12 plane crash in Alaska in November 1992. Among the grieving family members was Bonnie Carroll, the military widow of Army Brigadier General Tom Carroll. The families found comfort in offering support to each other and sharing experiences. 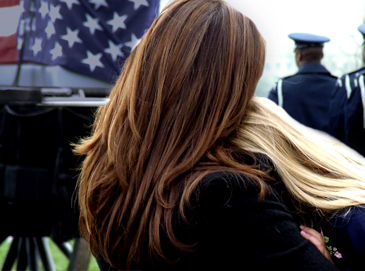 Carroll founded TAPS in 1994, after conducting two years of research examining the resources available to support bereaved military families and benchmarking best practices at other peer-based support organizations. TAPS was designed to not replicate services offered by other organizations, the military, or the government. The heart of our organization is survivors helping survivors heal. A growing body of evidence supports this type of “companioning” as an effective strategy to assist the bereaved. 16% fiancés or significant others, grandparents, aunts, uncles, nieces, nephews, cousins, in-laws, friends, etc. In 2017, 5,715 new people grieving the death of a loved one in military service to America have connected with TAPS to find comfort and support. This is a 20 percent increase over TAPS intake of new survivors in 2016. The three-year average of new survivors is 4,977 per year coming to TAPS. The 24/7 TAPS National Military Survivor Helpline receives on average over 1,427 calls per month, or over 46 calls per day. TAPS received 17,125 calls in total in 2017. In 2016, the Helpline fielded a total of 16,312 calls. 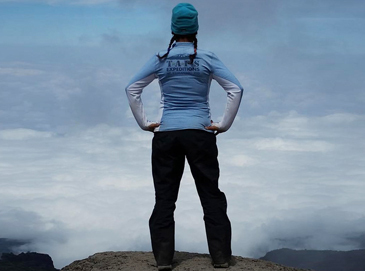 Many new survivors are in a state of distress and need immediate comprehensive support through peer mentoring, connections to grief counseling and supportive programs like TAPS seminars and camps. In 2017, TAPS held 37 seminars, retreats, expeditions, Good Grief Camps and Campouts to support survivors of fallen heroes. In addition, TAPS held 9 events across the country at which 966 survivors and supporters ran with Team TAPS in honor of fallen heroes and to raise awareness for TAPS. In addition, 142 participants attended seven Inner Warrior events across the country. Finally, born out of a desire to establish relationships between with the sports and entertainment industries and surviving military families, our teams4taps program has hosted an additional 179 events in 2017, with stars4taps offering an additional 22 events. More than 10,000 suicide loss survivors receive care and support from TAPS. TAPS has seen a 25.5% increase in suicide loss survivors seeking support since the end of 2016. TAPS lovingly maintains consistent compassionate contact with each survivor through the following communications: our quarterly TAPS Magazine filled with articles offering hope and healing; a monthly survivor newsletter; invitations to survivor events including retreats, seminars, camps, wellness weekends, sporting events, and expeditions; messages of care and remembrance sent on loved one's birthdays and anniversaries of death; helpful outreach during difficult holidays; reminders of resources and support available free of charge across the nation; and other inspirational communications. In addition, TAPS reaches all those who are grieving a loss in the military through social media with a current following of more than 176,000 on Facebook, Twitter, and Instagram. While TAPS has a close relationship with the military service branches, ongoing TAPS programs do not receive financial support from the government or the military. TAPS has official Memorandums of Understanding/Agreement or protocols with all the service branches. TAPS is funded by the generosity of the American public, which provides donations to support the organization’s work. In addition, TAPS is the beneficiary of thousands of donated hours through our robust volunteer program. If you’re a survivor needing support, you can request services online or call TAPS at 800-959-TAPS (8277). If you’re interested in supporting the TAPS mission of providing hope and healing to our families of the fallen, learn more about how to get involved. 82 cents of every dollar spent by TAPS supports mission programs and services. Contributions to TAPS may be tax-deductible to the fullest extent permitted by law. TAPS TAX ID# is 92-0152268. Click the ‘Donate’ button at the top-left corner of your screen. Simply check the box below the gift amount to indicate you would like your gift to be processed each month and complete the form. Once the form is submitted, the monthly gift will be processed automatically with the credit card information you have provided. Your first gift will be charged immediately when you create it online. Subsequent gifts will be charged each month on the same or next closest business date to your initial sustaining donation date. Monthly sustaining gift requests received by mail or phone will be processed 24 - 48 business hours after receipt. Each month, after your donation is processed, you will receive an email with your donation receipt attached. Please print or save these emails and attachment as your gift substantiation. If you don’t see these notifications in your email Inbox, please check your Spam or Junk folders. You remain in control of your giving. With an email message or phone call, you can change your monthly giving amount. Please contact TAPS Development via email at development@taps.org or by calling our toll-free line 1-800 959 TAPS (1-800-959-8277). TAPS Development department is available Monday-Friday, 8:00 a.m. to 5:00 p.m., Eastern, excluding holidays. A Cancellation request will be honored the same month as received, provided notification was received prior to the monthly charge.